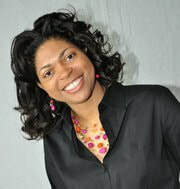 ​www.amazon.com/Shalonda-McFarland/e/B00K82K3OS/ref=dp_byline_cont_ebooks_1 or click Author for more information. Financial Coach: Shalonda teaches others how to win with money, God's way. Her articles on Christian finance have been featured in various church mediums and Christian publications including magazines and journals. Click Financial Coach for more information. Singer: Shalonda is a songwriter and singer. She has one Gospel music project to her credit, You're Glorious Project, featuring anointed Houston talent. Also her title cut You're Glorious was featured on the Texas Gospel Announcers Guild music compilation CD "A Message In Our Music." Click Singer for more information.